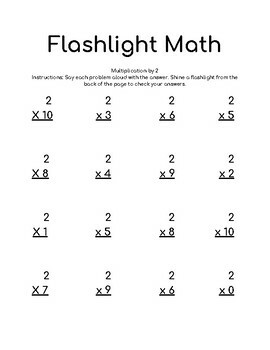 Students can review math facts using a flashlight and this fun resource. Just print out the two pages, glue them together and give it to your student with a flashlight. The child says the fact aloud then checks the answer by shining a flashlight on the problem from the back of the paper. The answer "magically" appears. This free resource illustrates the way a "flashlight" page works. Get the entire bundle of math facts flashlight pages here in TpT. 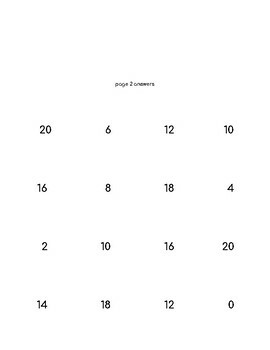 The file includes two pages to print and an instruction page for teachers.